A third paper co-authored by researchers based at a prominent lab whose work has been under investigation on and off for almost three years has been retracted. According to the notice, the university’s investigation found that a 2008 paper in FEBS Letters contained “clear signs of manipulation” in three figures. 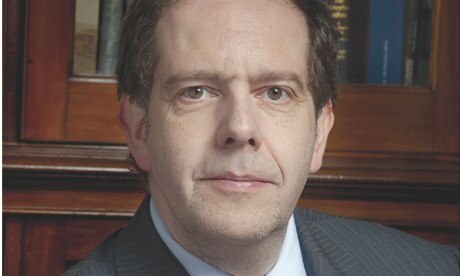 Research from geneticist David Latchman’s group has been dogged by misconduct allegations since late 2013 and subject to two investigations by the University College London (UCL). The university’s first investigation, which concluded in 2015, cleared Latchman of misconduct, but determined procedural matters in his lab “required attention.” Latchman is currently the master of the college of Birkbeck in London (a role equivalent to vice-chancellor). Birkbeck and UCL are both part of the University of London, made up of 18 independent institutions. The [new] inquiry will centre on several research papers published by Latchman’s human genetics research group based at nearby University College London. A screening panel at UCL has recommended a full investigation after it completed an initial assessment of the new allegations, according to details obtained by the Guardian under the Freedom of Information Act. In all cases, I did not produce any of the figures in the papers criticized or directly supervise their production … I greatly regret that in common with the other authors and the reviewers, I did not detect the errors in these papers. The matter does not relate to Professor David Latchman’s leadership of Birkbeck, which has been excellent for the past 15 years. Furthermore, there is no suggestion by UCL that Professor Latchman had any knowledge of, or involvement in, the image manipulation identified. The corresponding author, A.S., regrets the inappropriate figure manipulations of which the co-authors were completely unaware. In addition to the retractions, the team has issued five corrections, and more than three dozen articles are being discussed on PubPeer, including the FEBS Letters paper. The above article from FEBS Letters, published online on February 22, 2008 in Wiley Online Library (http://wileyonlinelibrary.com), has been withdrawn by agreement between the authors, the Journal Managing Editor Felix Wieland, and John Wiley & Sons Ltd., on behalf of the Federation of European Biochemical Societies. The retraction has been agreed following an initial investigation from the University College London that found clear signs of manipulation in Figures 1, 3, and 5. A subsequent investigation by the journal’s Editorial Office with the assistance of an image integrity analyst corroborated these findings. The paper has been cited 23 times, according to Clarivate Analytics’ Web of Science, including once by the notice. It’s unclear which UCL probe the notice is referring to; the journal has not yet responded to our inquiry. In the first investigation, UCL found evidence of misconduct in eight of the screened papers. We do not know how many or which papers have been analyzed in the university’s newer investigation. It is now over three years since UCL was first contacted about these allegations … In my view, the investigation should focus on those actually involved in preparing the questionable figures and those directly involved in supervising their production. Like Retraction Watch? You can make a tax-deductible contribution to support our growth, follow us on Twitter, like us on Facebook, add us to your RSS reader, sign up for an email every time there’s a new post (look for the “follow” button at the lower right part of your screen), or subscribe to our daily digest. If you find a retraction that’s not in our database, you can let us know here. For comments or feedback, email us at team@retractionwatch.com. The primary responsibility for detecting errors lies with the authors. Finding: CLEAR SIGNS OF MANIPULATION. Boy those co-authors really knew what was in that paper. That is denial, but how plausible is that? This is entirely plausible. I have seen this first-hand when I conducted a misconduct investigation. Two aspects of the research enterprise, as it is now, make this likely. First, research is more collaborative and multidisciplinary than ever before. Outcomes of this are that 1) the various coauthors may have limited ability to critically evaluate all data provided by all participants and 2) participants might not be located in the same department, institution, city, country, etc. Second, the exceptionally competitive nature of research has created a quasi-Darwinian environment in which selection and adaptation are crucial. So, if one needs four publications per year to be a “top producer” the “winners” will find a way. On the other hand, if the key players start putting out 10 papers per year, this will become the new standard that others will strive to match or exceed. Some will do that unethically. Two last thoughts: 1) training about research ethics and integrity should stress what could happen to you and your field if you engage in misconduct, rather than keeping the focus on defining misconduct and the like. Who, upon reaching adulthood doesn’t already know that one shouldn’t cheat? and 2) there MUST be real jeopardy faced by those who engage in research misconduct. Otherwise, there will always be those who will take a small risk for a potentially large reward. “First, research is more collaborative and multidisciplinary than ever before.” True, but in this case most of the authors were in Latchman’s group and in the same institute. “Second, the exceptionally competitive nature of research has created a quasi-Darwinian environment in which selection and adaptation are crucial. ” More or less than it has ever been is difficult to know. Social Darwinism has always been used to justify bad behaviour. It can be seen as condoning bad behaviour. I think you’ve missed my points. If the often senior had looked at the data he might have noticed problems. How hard can that be? “quasi-Darwinian environment in which selection and adaptation are crucial”, why not say you have to cheat to compete? This article has been withdrawn by Paul A. Townsend, Richard A. Knight, Sean P. Barry, David S. Latchman, and Anastasis Stephanou. An investigation at University College London determined that a duplicated blot in Fig. 1, A and B, the GAPDH blot is the same, flipped horizontally. The withdrawing authors sincerely apologize to the scientific community for any confusion or adverse consequences resulting from the publication of the article. © 2018 by The American Society for Biochemistry and Molecular Biology, Inc. In Germany “grossly negligent scientific misconduct.” was sufficient for a 2 year funding ban. He is no longer the director of the institute. This article has been retracted: please see Elsevier Policy on Article Withdrawal (https://www.elsevier.com/about/our-business/policies/article-withdrawal). The panel conducting the investigation found that it was clear that the images had been intentionally manipulated as alleged, concluding that research misconduct had occurred. Therefore the editor decided to retract this paper.